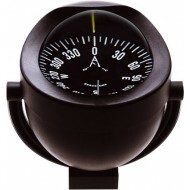 A modern and stylish looking power or sail boat bracket mounted compass. 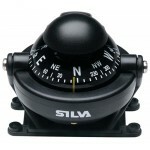 The compass is fitted with a black 85mm flat card graduated every 5.0 degrees. 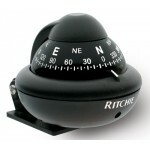 Features Card Graduations: 5.0 Degrees Compensators: Optional Back lighting: 12 - 24v Body colour: Black Card colour: Black Card style: Fl..
A modern and stylish looking power or sail boat bracket mounted compass. 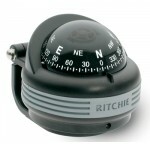 The compass is fitted with a black 85mm conical card graduated every 5.0 degrees. 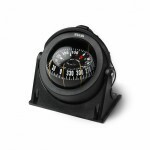 Features Card Graduations: 5.0 Degrees Compensators: Optional Back lighting: 12 - 24v Body colour: Black Card colour: Black Card style:..
A modern and stylish looking power or sail boat bracket mounted compass. 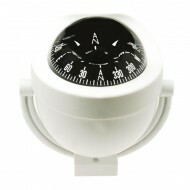 The compass is fitted with a white 85mm flat card graduated every 5.0 degrees. 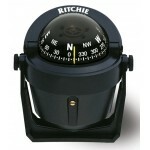 Features Card Graduations: 5.0 Degrees Compensators: Optional Back lighting: 12 - 24v Body colour: White Card colour: Black Card style: Fl..
A modern and stylish looking power or sail boat bracket mounted compass. 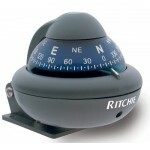 The compass is fitted with a blue 85mm flat card graduated every 5.0 degrees. 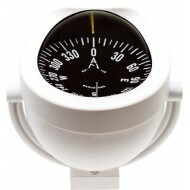 Features Card Graduations: 5.0 Degrees Compensators: Optional Back lighting: 12 - 24v Body colour: White Card colour: Blue Card style: Flat..
A modern and stylish looking power or sail boat bracket mounted compass. 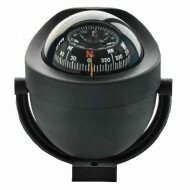 The compass is fitted with a black 85mm conical card graduated every 5.0 degrees. 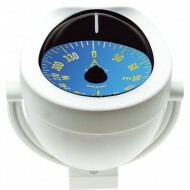 Features Card Graduations: 5.0 Degrees Compensators: Optional Back lighting: 12 - 24v Body colour: White Card colour: Black Card style:..